Scouring the country for 2YO routes, we end up right where we were last week. We’re back at Los Alamitos for the King Glorious Stakes, a 1-mile affair for 2YO Cal-breds. King Glorious began his career with a flourish at Golden Gate and then won the G1 Hollywood Futurity. He missed the Triple Crown but won the GI Haskell. He also won the GII Ohio Derby. According to Blood Horse, he was the first G1 winner for now-legendary Hall of Fame trainer Jerry Hollendorfer. Royal Trump: There are lots of horses named after the President running out there and here’s one at Los Al today. He wants the lead — something he shares with Bookies Luck. He got here through the maiden claiming ranks and had a solid 3rd in a 50K allowance. Despite his speed and the rail, he feels outclassed here. The stretch-out is a wild card. Still, he’s a pass for me, at least for the win spot. Intimidate: A Golden Gate Fields shipper, like King Glorious. But that’s where the similarities end. He’s stretching out and would have to improve significantly. Pass. Minoso: A recent maiden-breaker, he’s stretching out for the first time and adds Gary Stevens. If there’s a speed duel — kinda, sorta, likely — he will be motoring down that long stretch at Los Al at the end of the race. At 12-1, Minoso may offer some value for those who think the race will fall apart. Lucky Romano: In the barn of Mark Glatt for the first time, this horse will be routing for the second time. He struggled the first time, but answered that with 2 fast outings (but no wins). He has the benefit of being gelded for today’s race (and, of course, every race from here on out). 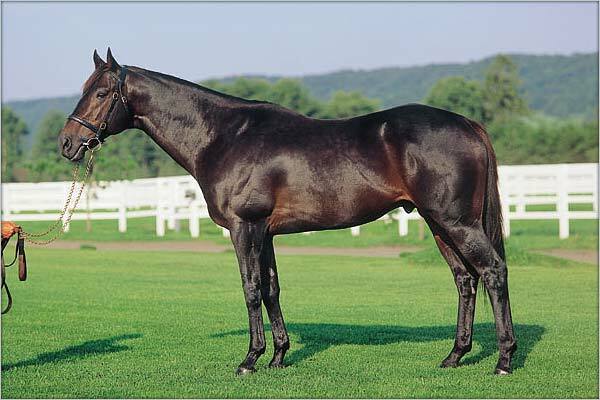 Both were facing winners, and his last start came in the 200K Golden State Juvenile, where he finished 3rd. Certainly a contender — and even more so if you figure he’s grown (and gained stamina) since that September route fiasco. Oh Man: Another who got here through the maiden claiming ranks. He’s another who is first-time routing. He’s too slow barring improvement and is probably safe to leave off your tickets. Bookies Luck: The M/L Favorite. He’s faster than everybody and will probably be 3/5 or 4/5 come post time. He wants the lead but he’ll have to fight for it, and it is a first-time route. He won the Golden State Juvenile and also the I’m Smokin Stakes. A chink in the armor — Jeff Bonde is 1 for 48 first time routing. That’s enough to make me look deeper for a stamina horse to beat him. Campaigner: Another first-time router, he had a solid 4th in the Golden State Juvenile, he could benefit from a bit of pace. He’ll be relatively close for the Miyadi barn, who can be a bit sneaky with their wins (evidenced by a flat-bet profit.) He seems to be improving at the right time. A strong contender, given his even performance against several of these last time out. The goal is to beat Bookies Luck, or alternatively, how strong you feel about him as a favorite. I’m going to pass on him and go with Campaigner as my top choice. I’ll also include the newly gelded Lucky Romano, with the new barn and hopeful second try at the route distance.